Find inspiration and help to get started with family history at the Family Discovery Day at RootsTech 2018. Attend in person or watch it streamed live on LDS.org on Saturday, March 3, 2018. President Dallin H. Oaks and his wife, Sister Kristen M. Oaks, will be the featured keynote speakers in the general session at 1:00pm MST. See the live streaming schedules for all sessions. If you can’t watch live on Saturday, videos will be archived at lds.org/discoverfamily for later viewing. Family Discovery Day is especially designed for families and members of the Church ages eight and older. The messages and classes are designed to teach you how to find your ancestors, how to prepare names for temple ordinances, and how to teach others to do the same. 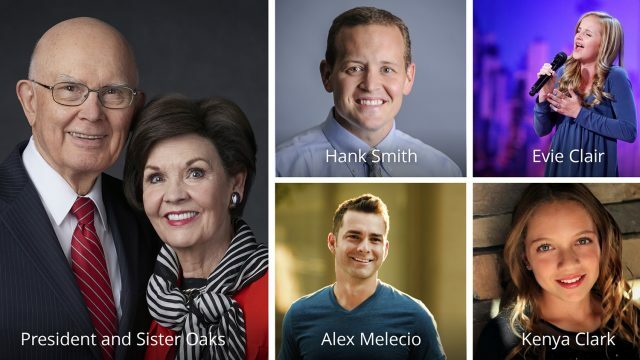 The Church hosts the one-day event, which takes place at the Salt Palace in Salt Lake City during RootsTech, the largest family history conference in the world, which is hosted by FamilySearch International. Learn more about attending the live event, which is free but requires preregistration.